The town of Orani in Bataan province is mourning the passing of Mayor Efren Bondjong Pascual Jr’s mother. 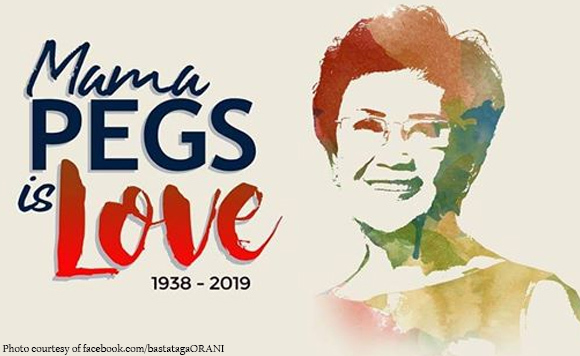 The mayor’s mother, Pagasa, died at the age of 82. A 9 a.m. mass will be held on Wednesday, Jan. 23, at Our Lady of the Holy Rosary before the interment at Orani Memorial Park.